Dr. Ebert has a special place in his heart for veterans. He is a lifetime member of the Disabled American Veterans organization (DAV). He first discovered veteran’s law when his elderly father applied for benefits from his injuries he sustained on the battlefield in France during World War II as an Army infantryman. Later he became a member or the Army Air Corp which eventually became the U.S. Air Force. Bruce fought the Department of Veterans Affairs (VA) for nine years to eventually obtain the benefits his father deserved. Donald C. Ebert passed away as a fully recognized disabled American veteran. This remains one of Dr. Ebert’s proudest memories. Mr. Ebert’s military service was so important to him and profound that he asked and was granted burial in his military uniform. The long battle Bruce fought for his father coupled with the fact Bruce is also a disabled veteran inspired him to fight for other veterans. In all cases the first step is to apply for benefits with the VA. Generally, any veteran who sustains and injury or develops an illness while on active duty is entitled to service connected benefits. Dr. Ebert handles the more difficult case. 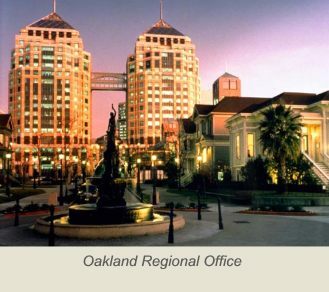 For individuals in Northern California veterans must file for compensation at the Oakland Regional Office in Oakland, CA. If a claim is rejected by the regional office staff the veteran must file an appeal with the Board of Veterans Appeals (BVA). In this process the veterans may present all types of evidence and is entitled to a hearing. Dr. Ebert has presented many cases at BVA hearings. These hearings take place generally at the regional office before an administrative law judge. There are other ways to have a hearing such as with a tele-conference using advanced video equipment. Decisions from these hearings generally take a long time. If the decision is against the veteran the person may file an appeal. This appeal must be filed within 120 days of the date of the BVA decision. It is file with an independent judiciary composed judges who do not work for the VA. Since its inception in 1988 the U.S. Court of Appeals for Veterans Claims has developed its own set of case law and it has its own Bar. Dr. Ebert is a member of the Court’s Bar. There is a somewhat complex procedural process in cases before the Court. Dr. Ebert has had many cases before the Court. The Court has a very helpful website at www.vetapp.gov. On the left hand side of the website for the Court fourth item down is a link to the Courts Rule and Procedures. It is important to know and understand these rules because it is a Court of law and a special Court of Appeals. Over the years the Court has developed its own case law and general legal principles applicable to veterans. There are many reasons why someone should be represented at this level. One of the reasons is that the rules and procedures can be complicated at times. Every single case filed at the Court can be tracked to know exactly where the case as at any given time. All cases are initially decided by a single judge. If the decision is adverse to the veteran counsel can petition for a review by a three judge panel or even the entire Court. There is a small group of experts who represent veterans from around the entire country. This group is called the National Organization of Veterans Advocates. They have their own website with valuable information about benefits and attorneys with special training. There site is at www.vetadvocates.com. The group offers two special workshops each year for its members. This entails unique training for NOVA members including a case law update and trends in VA decisions. Many of the members are at the lead in creating new avenues for veterans. Dr. Ebert has been a member of NOVA for several years. If a veteran loses at the Court there is another avenue of appeal. 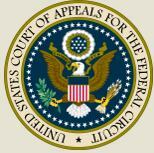 It is to the extremely prestigious United States Court of Appeals for the Federal Circuit in Washington, D.C. This Court has demonstrated it has a sophisticated understanding of veteran’s law. Bruce has had the honor of arguing one case at this Court. The final stop for veterans is the United States Supreme Court. Appropriately, the Supreme Court has issued some profound decisions assisting veterans. This description is simplistic because there are all kinds of procedural steps at each level. In many cases the VA Court will send a case back to the BVA and they will send it back to the Regional Office where it may sit for months or even longer. Then the process could begin all over again.